Peter Jay Shippy was born in Niagara Falls, New York. He was raised on his family's apple farm, on the shore of Lake Ontario. He was educated at Northwestern University, Emerson College, and the University of Iowa, where he received an MFA. 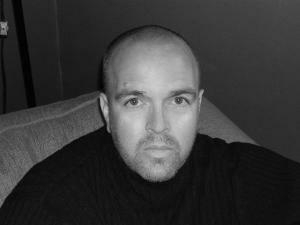 Shippy's first book, Thieves' Latin (University of Iowa Press) won the 2002 Iowa Poetry Prize. BlazeVOX Books published Alphaville, an abecedarian suite, in 2006. Rose Metal Press released How to Build the Ghost in Your Attic in 2007. Saturnalia Books will publish A Spell of Songs in 2013. About Thieves' Latin, Bin Ramke, editor of the Denver Quarterly wrote, "Shippy's strange little machines of words are all kinetic, disturbing, and weirdly graceful, unlike anything else available in American poetry. A dazzling book." Claudia Keelan called it, "... a surrealist elegy for the earth... a fierce accomplishment." His work has been published in numerous journals, including The American Poetry Review, Fence, FIELD, The Iowa Review, McSweeney's Internet Tendency and Ploughshares, among others. Shippy has been awarded writing fellowships from the Massachusetts Cultural Council and the National Endowment for the Arts. In 2005 he received a Gertrude Stein Award for innovative poetry. He teaches at Emerson College and lives with his wife, two daughters, and cat in Jamaica Plain, MA.